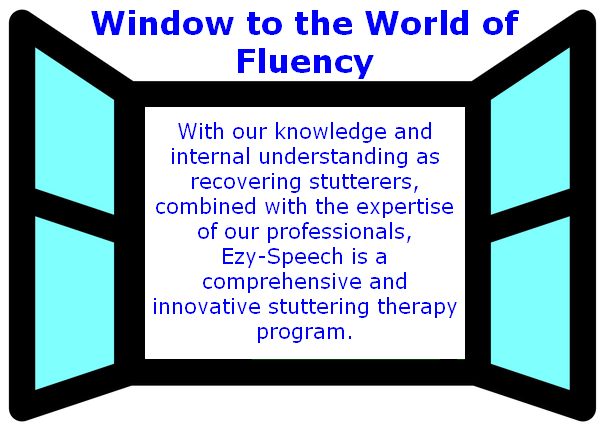 Our Window to the World of Fluency – Ezy-Speech has been developed by specialist clinicians and recovering stutterers. The perspectives from the Outside Looking In by our expert professionals and from the Inside Looking Out by our recovering stutterers make our program unique and highly reputable. The Ultimate Fluency System – Home Study Course with everything you need in one package to achieve and maintain your fluency. It is possible to break away from the rollercoaster ride of dysfluency. You can take part in an actual Ezy-Speech intensive course recorded in DVD format. The twin DVD pack offers both fluency and cognitive training, helping to equip you for everyday speech. Ezy-Speech is an innovative treatment for stuttering that offers full support. Our program is also available to speech pathologists to be used as a valuable tool in the treatment of stuttering. The Ezy-Speech technique has been developed over the last 15 years and is based on the foundations of Prolonged Speech. This system was originally developed by Professor Gavin Andrews, Dr Roger Ingham, Dr Ashley Craig and their research teams. Ezy-Speech enhances the Prolonged Speech method through a more holistic approach. Once technique has been adopted and is in daily use, your speech will have a natural fluency.